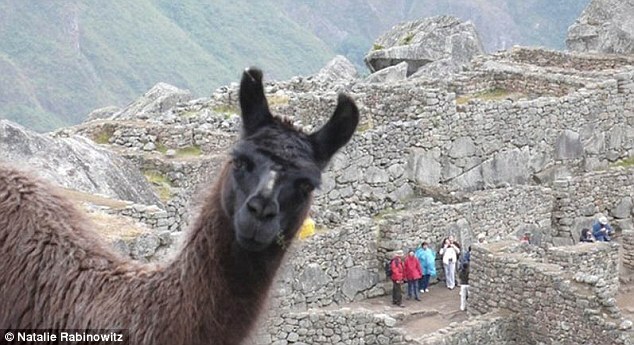 Some will do just about anything to get attention. And when you are as cute as this grinning seal you can hardly blame them for wanting to join in the global craze of photo-bombing. Alex Mustard, 37, spotted this inquisitive pup off the Northumberland coast during a diving trip and, as he went to take his own picture, the Grey seal peered over just in time to steal the shot. Judging by the size of his smile and gentle pat on the back, Alex’s handiwork has been given the seal of approval. The diver was swarmed with the loveable pups within minutes of leaping into the chilly waters off the Farne Islands, visible from the Northumberland coast, earlier this month. 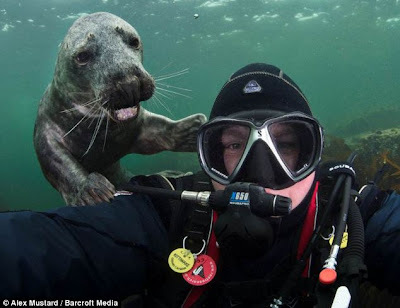 But this particularly bold seal took a shine to Alex who quickly grabbed his underwater camera to take a picture just as his new pal smirked over his shoulder. 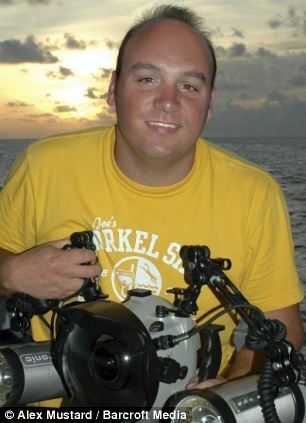 Alex, an underwater photographer from Southampton, said: 'It was an absolutely unforgettable experience. 'In all my years of doing my job I’ve never seen such a happy chap. Alex had taken a 20 minute boat ride to dive and photograph seals, but he almost went home after his first dive flopped without a seal in sight. He said: 'On the first dive the seals were not that interested so we tried another spot about a mile away and they were all over us, desperate to play from the first minute we were in the water. 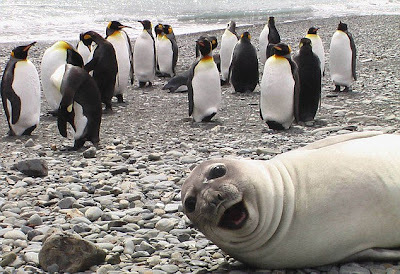 The seal is just the latest in a line of attention-hungry animals who have been caught photo-bombing – sabotaging someone’s photo by jumping into the shot. 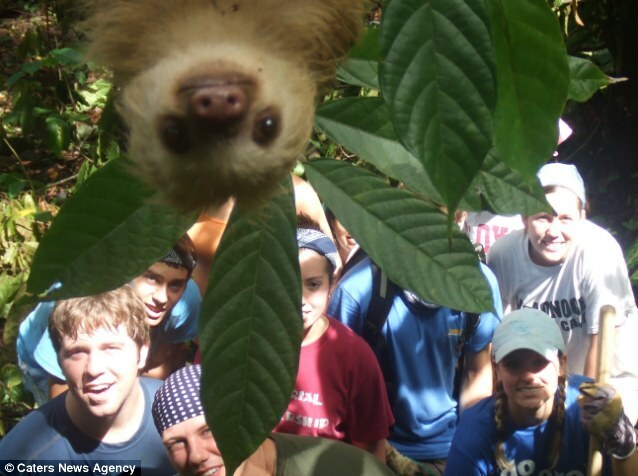 In Costa Rica, a sloth lowered himself into the frame just as an International Student Volunteers expedition snapped a group shot. Another seal was determined to grab the attention from a flock of penguins by waddling into the photo, while - in a photo entered into National Geographic's photo contest last year - a cheeky llama steals the spotlight in what was supposed to be a landscape photograph of Macchu Picchu in Peru. Incredibly, Alex had only managed to dive five metres beneath the surface when the playful pup came tearing up to him. He said: 'They are just like curious puppies and when they want to play you don’t really have a choice. 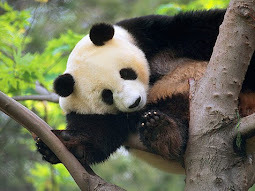 But despite being powerful predators, I have never felt threatened. 'Seals swim about 100 times fast and better than any person - so these encounters are always on their terms. 'They are such humorous animals. If you laugh or smile underwater your face wrinkles up which makes your face mask leak and cold water floods in and up your nose.